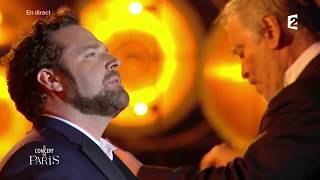 On May 16 and 17, American tenor Bryan Hymel joins the Rotterdam Philharmonic and its music director Yannick Nézet-Séguin for Verdi’s Requiem, a work he sang to acclaim with the Edinburgh International Festival last summer. Under Maestro Nézet-Séguin’s baton, Bryan is joined by soprano Camilla Nylund, mezzo-soprano Karen Cargill, and bass Mikhail Petrenko. The performances also include the talents of the Collegium Vocale Gent. For ticket information, click here.